Scott delves into Argentina’s submission to the Academy Awards for Best Foreign Film the Crime Film El Angel. El Angel is Argentina’s submission to the Academy Awards for Best Foreign Film. So, it’s only appropriate that a film from the land of the tango opens with a dance sequence (of sorts). Carlos is a natural born thief. He breaks, enters and loots places with nary a care in the world. As the opening credits unfurl, we see him burglarizing a residence. He pauses long enough to switch on the turntable, drop the needle on an album and cut a rug with his best circa-1971 dance moves. His mother thinks he’s a sweet kid who simply needs to apply himself more. She never suspects that all of the items he “borrows” from his classmates might actually be stolen. Even as a thief, Carlos is aimless. He steals for kicks, not for money, and tends to abandon his stolen items when he tires of them. When Carlos meets a family of small-time crooks, they recognize his genius for thievery and decide it’s time to up the ante on his scores. El Angel is ultimately a character study of a sociopath. Carlos has the smile of a cherub and the dead eyes of a serial killer. As burglary leads to murder, he seems as unconcerned about shooting someone as he feels when he boosts a motorcycle. The casualness with which he kills is chilling. He lives a life of reckless abandon, but his recklessness is inward, a product of his lack of empathy, his inability to find value in the people around him. The best crime films have a swagger to them. Think about Scorsese’s swirling camera at the beginning of Casino, taking in the 360 degrees of slot machines and gaming tables as one of the nastiest guitar riffs of all time plays on the soundtrack (Can’t You Hear Me Knocking by The Rolling Stones). Bad crime films try to fake that strut by piecing gangster tropes together, but they never feel authentic. El Angel is no pretender. The 1970’s underworld setting comes alive. The cinematography is effortlessly stunning. No camera pyrotechnics for the sake of showing off. Every facet of the film feels organic and serves the overall whole. Lorenzo Ferro anchors the film with his portrayal of Carlos Puch, but his performance is beautifully understated. He never looks like he’s trying to make an impression. He has one of those faces that’s destined for the big screen. He dominates the scenes he’s in by simply standing in the frame. Where most gangsters and serial killers in films are menacing and chew the scenery, Ferro looks bemused most of the time. His pouty good looks turn Carlos into a media sensation. The Best Foreign Film category is stacked this year with films from Alfonso Cuaron (Roma), Hirokazu Koreeda (Shoplifters), Pawel Pawlikowski (Cold War) and Lee Chang-dong (Burning) to name just a few. American audiences tend to gravitate to the select few foreign films that receive year-end awards recognition. 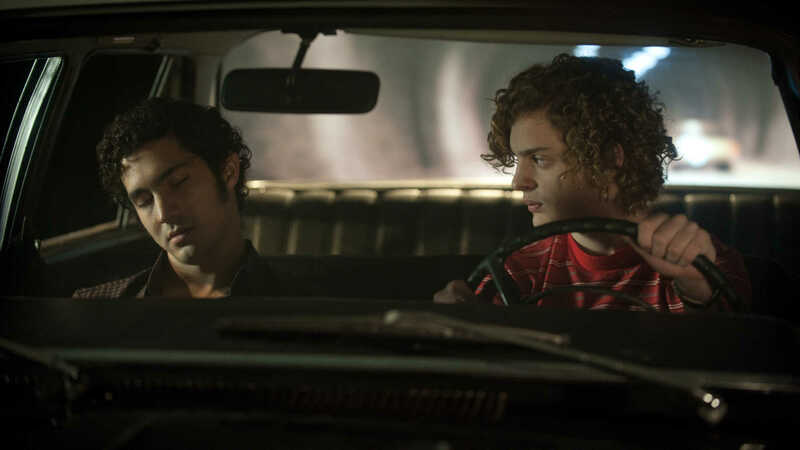 If El Angel doesn’t make the Oscar short list, it runs the risk of fading into obscurity with U.S. audiences, and that would be a genuine shame.